Dr. Lisa Ameer provides dental care for all children, starting from 6 months old, and has expertise in dealing with medically compromised and special needs patients. 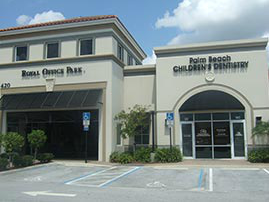 She focuses on creating a comfortable, safe atmosphere where children are eager to come to the dentist. Dr. Ameer emphasizes on making your child aware of what’s going on without instituting any fear. This is what allows her patients to come in and leave with a smile on their face.